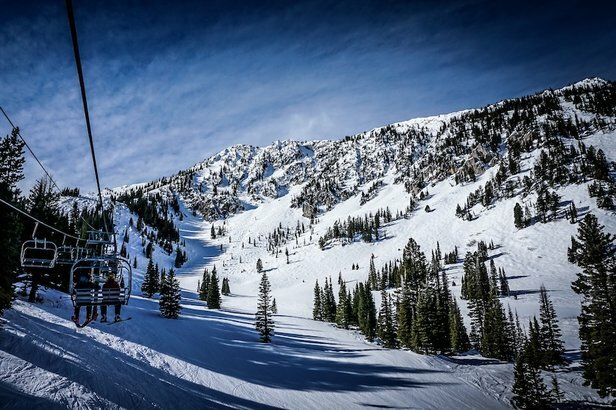 Stop by Victory Taco for a cheap, yet delicious breakfast burrito before heading to the slopes. When it comes to liquids, solids, live music and a warm bed, there’s the right way, the wrong way and the Bozeman way. Although it’s hard to go wrong once you’re downtown, we did notice some reoccurring suggestions from our local soundboard, who helped us narrow it down to these eight must-go selections. 1. Plonk: Stop by Plonk for a glass of wine or a thoughtfully made cocktail. Settle into Plonk’s private cellar for the full treatment, a nine-course meal. 2. The Emerson Grill: Situated in the Emerson Center for the Arts & Culture, The Emerson Grill serves up local and organic cuisine in an elegant atmosphere. 3. 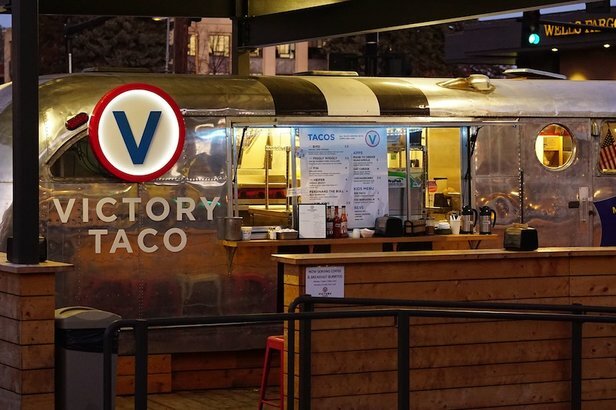 Victory Taco: Located outside The LARK hotel, Victory Taco cranks out a variety of delicious breakfast burritos for skiers on the go. Opens at 7 a.m.
4. Bacchus Pub: If you’re in need of a hearty burger, try the Nevada City, made with jalapeno, bacon, avocado, pepper jack cheese and chipotle aioli. 5. Bozeman Brewing: Start with their flagship beer, the Bozone Select Amber Ale, and then experiment with their creative seasonals. Traveler's Tip: Montana tasting rooms only operate until 8 p.m. and can only serve clients three pints per day. 6. The Filling Station: Cowboy up! “The Filler” is a bit outside of town, but their nightly live music and rustic atmosphere are worth the cab ride. 7. Element Bozeman: This upscale lodging option provides a convenient downtown location with numerous amenities, including a pool, fitness center, food options and multi-purpose public spaces. 8. The LARK: The ideal bascecamp for your mountain adventures, The LARK is big on personality and convenience.